This D'Nealian handwriting Word book provides space for students to practice interesting, everyday words. 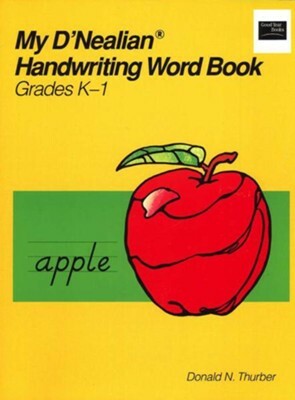 Containing all the words from the kindergarten and first grade D'Nealian handwriting programs, as well as more common words from those grades, each lesson includes a word list written for example/copying, and a page in which to practice those words. There's also room for students to customize their books with their own family names, places they go and animal names. 58 pages, softcover. I'm the author/artist and I want to review My D'Nealian Handwriting Word Book.